The Latest on the Dakota Access oil pipeline (all times local): 1:35 p.m. The developer of the Dakota Access oil pipeline says protesters who have camped on company land since the weekend are trespassing and will be prosecuted "to the fullest extent of the law." Energy Transfer Partners said in a statement Tuesday that it wants all protesters to leave its land in North Dakota immediately. More than 100 American Indians and others set up tents and teepees over the weekend on land the Dallas-based company acquired recently. That move put them right in the path of the four-state, thousand-mile pipeline for the first time. The protesters argue the land rightfully belongs to Native Americans under a more than century-old treaty. But the local sheriff's office has called it trespassing. The Standing Rock Sioux and other protesters argue the pipeline is a threat to clean water. Energy Transfer Partners says the pipeline will be safe. Former Vice President Al Gore says he supports the Standing Rock Sioux Tribe in its opposition to the Dakota Access oil pipeline. Gore said in a statement Tuesday that the pipeline "appears to be a dangerous project in blatant disregard of obvious risks to the Missouri River and with disrespect to the Standing Rock Sioux." The tribe wants construction of the $3.8 billion pipeline halted, saying it could taint water supplies and encroach on tribal burial sites. 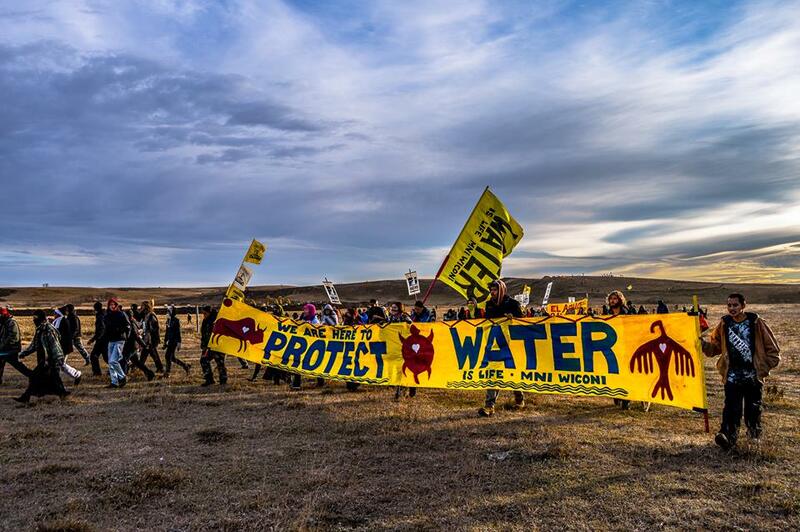 Protests supporting the tribe have been going on for months, with more than 260 people arrested for interfering with the project in North Dakota. Gore called the protests "non-violent resistance" to the project. 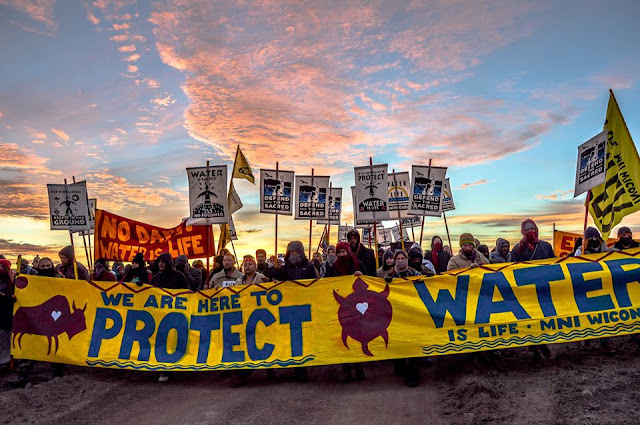 Dakota Access oil pipeline protesters in North Dakota have set up a new camp on private land recently purchased by the development company. The opponents say the area rightfully belongs to Native Americans under an 1851 treaty, and they are vowing to stay put until the project is stopped. Protests have been ongoing in the area for months, but the latest move marks the first time demonstrators have moved directly in the project's path. Morton County Sheriff's Office spokeswoman Donnell Preskey says authorities "don't have the manpower" currently to remove the more than 100 protesters. Sheriff Kyle Kirchmeier says authorities put out a call for help earlier this month and several states are sending officers, though he would not say if the goal was to remove the protesters. 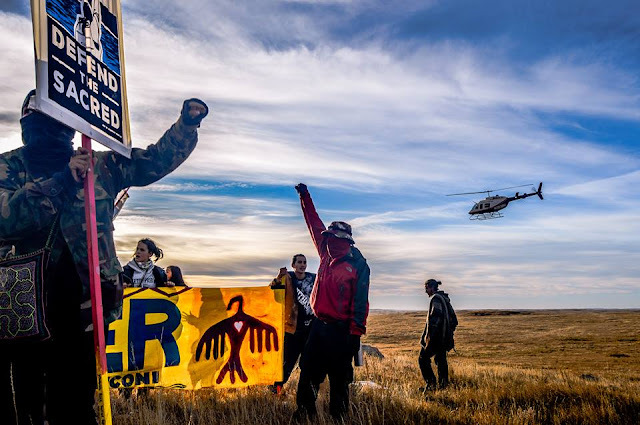 Responses to "The Latest: Pipeline Developer Asks Protectors To Leave"